Many old workboats still exist today though in this age of fiberglass they are an endangered species. To many the skill and craftsmanship of the builders who made them will never be forgotten. There is a talent that borders on art in creating a wooden hull from straight pieces of lumber.Steve Rogers keeps the art alive in miniature with his beautiful models of these old wood boats. Through his work he demonstrates an appreciation for the design and construction of these boats plus a gentle nostalgia for the times that they represent. 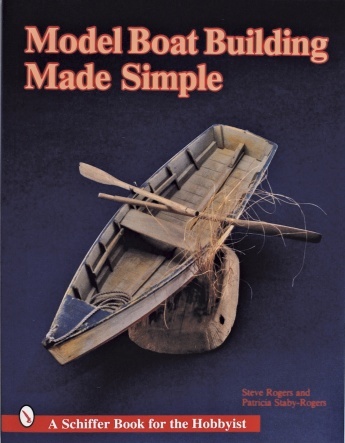 In Model Boat Building Made Simple Steve shares his techniques with the reader.A professional artist Steve uses drawings and step-by-step color photographs and captions to make the process easily understood and followed. The materials needed can be bought at hobby shops lumber yards and hardware stores and the tools are basic. Steve passes his years of experience on to the reader in a way that allows even the novice model builder to complete a fine modela simple yet elegant skiffâ€”incorporating many of the original construction techniques.